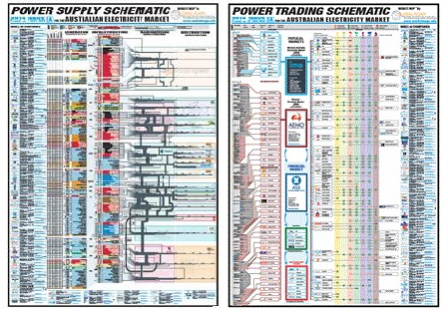 If you’re relatively new to Australia’s electricity industry and marketplace, your set of these two wall charts will save you many hours of time in getting your head around the structure of Australia’s electricity supply industry, and the markets on the east coast and west coast. If you’re a seasoned hand within the electricity industry, your wall charts will save you countless hours in explaining what you know to others – and having them understand, without you tearing your hair out. More information about these wall charts can be found here.